Established in 1993, Nobeltec is a leading developer of PC marine navigation software, electronic charts, hardware, and accessories. PSI carries a range of Nobeltec's premier products, from marine cartography to radars and sensors, including the latest in Marine Software, the TZ Navigator and TZ Professional. In fact, we are a TimeZero Master Dealer, helping professionals all over the world to create tailored, customized marine navigation solutions that perfectly suit their needs! For a great example, check out the case study below, which outlines the amazing set-up we were able to create for a large scale application in Ghana featuring TZ Professional Software. 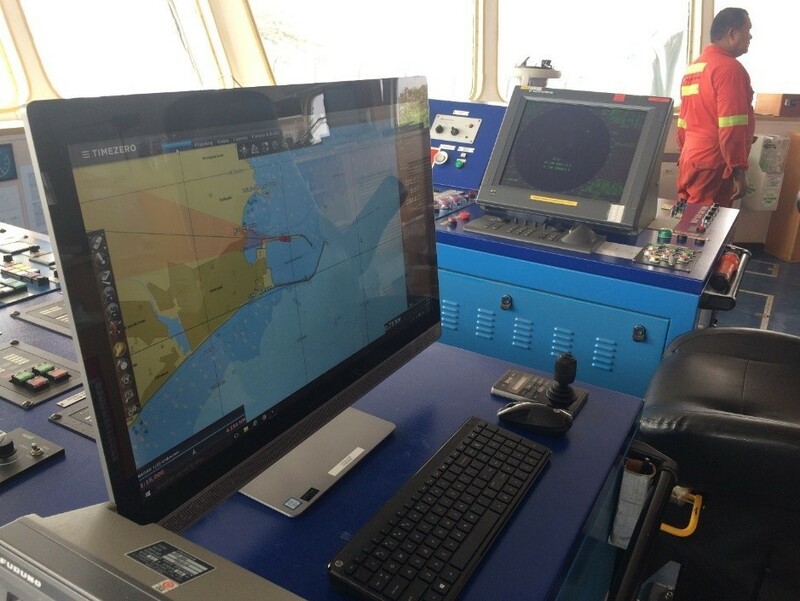 An oil platform in Ghana, 3 boats, a need for a strong off shore security system along with the expertise from Puget Sound Instrument: these are the primary elements of a remarkable full maritime surveillance solution! Let’s get a closer look at how this TIMEZERO Master Dealer designed a unique installation meeting all his client’s requirements. Puget Sound Instrument is a full-service provider for Two Way Radios, Marine and Surveillance Electronics operating worldwide with the HQ in Seattle-Tacoma metro area in Washington State. Founded in 1965, the company enjoys a seasoned staff of sales and service experts, with an average tenure of over 10 years that provide highly accurate proposals, best in class technical service and fast customer service. They operate with the highest integrity and that is why school districts, police departments, cities, military, healthcare, commercial and private customers depend on PSI to deliver critical 24/7 communication, surveillance and navigation systems on land and at sea. PSI enjoys a great reputation among some 500 U.S citizens and 6,000 worldwide customers it serves. They carry a wide range of TIMEZERO’s premium products, from marine cartography to radars and sensors, including the latest in Marine Software, TZ Professional. Let’s focus on this TIMEZERO, Furuno and Flir installation in Africa. The solution has been deployed on 3 Offshore Support Vessels that measure 57.5 meters in length and have a deadweight capacity up to 1.550 tons each, named: The Pacific Porpoise, the Pacific Phoenix and the Pacific Peacock. Puget Sound Instrument designed an “All-in-One PC” solution combining TZ Professional software with the Record & Replay module, a Furuno FAR-xxx7 radar and a FLIR M400 camera. This solution is made possible thanks to the compatibility of 4 key pieces of equipment. FURUNO ARPA Radar FAR-xxx7 series fully meets the latest performance standards of IMO and IEC for all ships and for ships under 10,000 GT, respectively. It is designed to meet the demands of today's maritime industry. It offers DVI (Digital Video Interface) facility integrated to deliver crisp and clear radar images. Target detection is enhanced by sophisticated signal processing techniques featuring superb short range detection. AIS information scheme can be incorporated when AIS transponder/receiver is interfaced, thereby further enhancing situation awareness of the operators. This new instrument brings greater bridge performance and enhanced navigation accuracy, increasing both operating efficiency and safety level at sea. The FLIR M400 thermal night vision camera is a versatile, high-performance pan/tilt marine camera system designed for best-in-class short and long range target identification. The M400’s advanced 640x480 sensor delivers crisp thermal video images in total darkness and lowlight conditions. An integrated HD color visible camera and tight-beam LED spotlight augment target identification for added safety. It has a continuous optical thermal zoom lens (up to 4X) that allows operators to see other vessels and targets at longer ranges. Active gyro-stabilization ensures a steady image, plus radar tracking and optional video tracking keep potentially dangerous targets in view at all times. Both instruments’ data are integrated into TIMEZERO to allow the “all-in-one-PC” master solution. TZ Professional software has been designed to answer the navigation needs and requirements of professional seafarers and their homeports. With features that are truly cutting-edge, TIMEZERO software has two main objectives: Supreme control and security. Compatibility with S57 and S63 charts, advanced route management, profile window, Fishing workspace, AIS / ARPA features, Security Cone, weather and oceanographic forecast, weather routing, sounder, WASSP, PBG and VDR are all available in this last generation professional marine software. Regarding Puget Sound Instrument’s installation, TZ PROFESSIONAL is able to display and control the Furuno FAR radar as well as the FLIR M400 camera for a great target video tracking feature. The TIMEZERO ARPA target video tracking allows them to automatically video track all the vessels movement around their operation areas. Finally, adding the TIMEZERO Record & Replay module makes it possible to record up to one month of radar echo, ARPA/AIS targets and video feed! This recording capability is allowed to track back in time to a specific date and time to see what happened and analyze all the vessels’ movements. 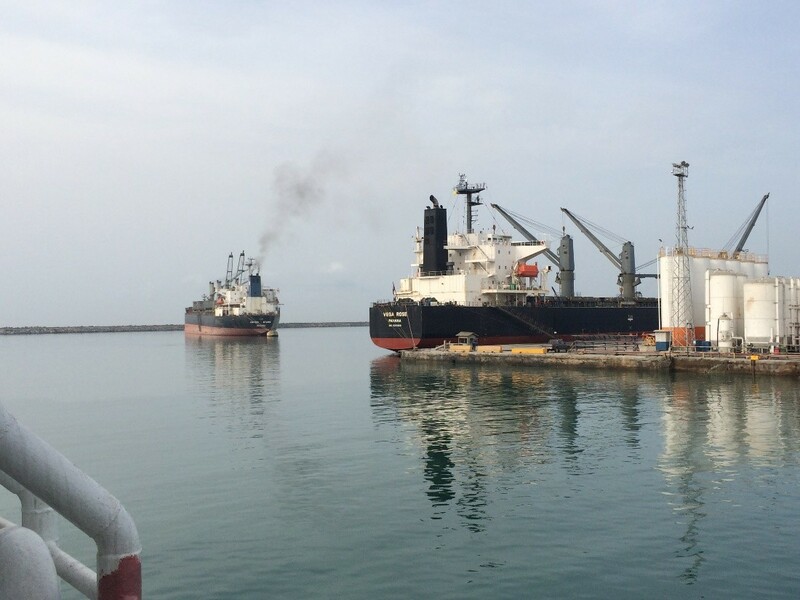 Today the oil platform in Ghana operates high value activities within high security conditions thanks to this customized installation from Puget Sound Instrument’s expertise and full range of cutting edge equipment. Professional. In fact, we are a TimeZero Master Dealer, helping professionals all over the world to create tailored, customized marine navigation solutions that perfectly suit their needs! For a great example, check out the case study below, which outlines the amazing set-up we were able to create for a large scale application in Ghana featuring TZ Professional Software. Contact us today for a free consultation! All Nobeltec Chartplotters RADAR - Marine All Products Index in Alphabetical Order MARITIME SURVEILLANCE SOLUTION FROM MASTER DEALER PUGET SOUND INSTRUMENT An oil platform in Ghana, 3 boats, a need for a strong off shore security system along with the expertise from Puget Sound Instrument: these are the primary elements of a remarkable full maritime surveillance solution! Let’s get a closer look at how this TIMEZERO Master Dealer designed a unique installation meeting all his client’s requirements. Puget Sound Instrument is a full-service provider for Two Way Radios, Marine and Surveillance Electronics operating worldwide with the HQ in Seattle-Tacoma metro area in Washington State. Founded in 1965, the company enjoys a seasoned staff of sales and service experts, with an average tenure of over 10 years that provide highly accurate proposals, best in class technical service and fast customer service. They operate with the highest integrity and that is why school districts, police departments, cities, military, healthcare, commercial and private customers depend on PSI to deliver critical 24/7 communication, surveillance and navigation systems on land and at sea. PSI enjoys a great reputation among some 500 U.S citizens and 6,000 worldwide customers it serves. They carry a wide range of TIMEZERO’s premium products, from marine cartography to radars and sensors, including the latest in Marine Software, TZ Professional. Let’s focus on this TIMEZERO, Furuno and Flir installation in Africa. 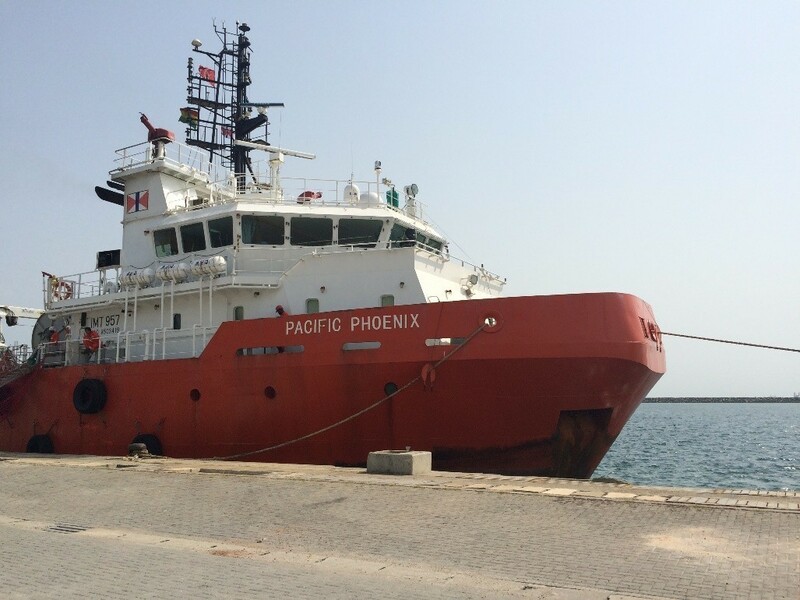 The solution has been deployed on 3 Offshore Support Vessels that measure 57.5 meters in length and have a deadweight capacity up to 1.550 tons each, named: The Pacific Porpoise, the Pacific Phoenix and the Pacific Peacock. Puget Sound Instrument designed an “All-in-One PC” solution combining TZ Professional software with the Record & Replay module, a Furuno FAR-xxx7 radar and a FLIR M400 camera. This solution is made possible thanks to the compatibility of 4 key pieces of equipment. FURUNO ARPA Radar FAR-xxx7 series fully meets the latest performance standards of IMO and IEC for all ships and for ships under 10,000 GT, respectively. It is designed to meet the demands of today's maritime industry. It offers DVI (Digital Video Interface) facility integrated to deliver crisp and clear radar images. Target detection is enhanced by sophisticated signal processing techniques featuring superb short range detection. AIS information scheme can be incorporated when AIS transponder/receiver is interfaced, thereby further enhancing situation awareness of the operators. This new instrument brings greater bridge performance and enhanced navigation accuracy, increasing both operating efficiency and safety level at sea. The FLIR M400 thermal night vision camera is a versatile, high-performance pan/tilt marine camera system designed for best-in-class short and long range target identification. The M400’s advanced 640x480 sensor delivers crisp thermal video images in total darkness and lowlight conditions. An integrated HD color visible camera and tight-beam LED spotlight augment target identification for added safety. It has a continuous optical thermal zoom lens (up to 4X) that allows operators to see other vessels and targets at longer ranges. Active gyro-stabilization ensures a steady image, plus radar tracking and optional video tracking keep potentially dangerous targets in view at all times. 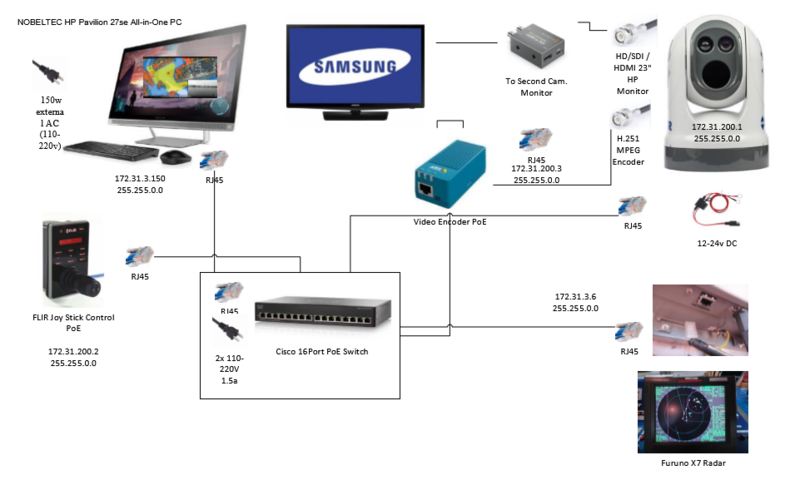 Both instruments’ data are integrated into TIMEZERO to allow the “all-in-one-PC” master solution. 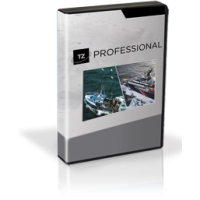 TZ Professional software has been designed to answer the navigation needs and requirements of professional seafarers and their homeports. With features that are truly cutting-edge, TIMEZERO software has two main objectives: Supreme control and security. Compatibility with S57 and S63 charts, advanced route management, profile window, Fishing workspace, AIS / ARPA features, Security Cone, weather and oceanographic forecast, weather routing, sounder, WASSP, PBG and VDR are all available in this last generation professional marine software. Regarding Puget Sound Instrument’s installation, TZ PROFESSIONAL is able to display and control the Furuno FAR radar as well as the FLIR M400 camera for a great target video tracking feature. The TIMEZERO ARPA target video tracking allows them to automatically video track all the vessels movement around their operation areas. Finally, adding the TIMEZERO Record & Replay module makes it possible to record up to one month of radar echo, ARPA/AIS targets and video feed! This recording capability is allowed to track back in time to a specific date and time to see what happened and analyze all the vessels’ movements. Today the oil platform in Ghana operates high value activities within high security conditions thanks to this customized installation from Puget Sound Instrument’s expertise and full range of cutting edge equipment.